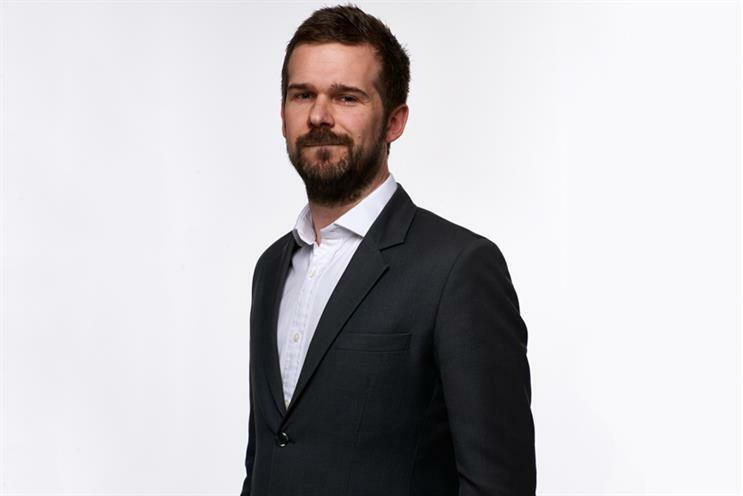 Sealing a major deal with Lego and ensuring advertising opportunities, whilst securing contributors, exclusives and writing the front page, Oliver Duff, editor at i, explains why the bottom line matters. A successful start to the week. At 6am, I persuade Matilda, now 22 months old, not to play the xylophone like a thrash metal drummer. We live in a small terraced house and have patient neighbours. After negotiations about what she will wear today, Matilda is dispatched to her childminder. Arriving at i’s head office on High Street Kensington, I’m greeted by surprise good news. Our new 80p iweekend print edition has sold 30,000 more copies than we expected, with a circulation of 290,000. There’s clearly an appetite for a weekend package stuffed full of quality reads (and digested news) without any of the supplements that can end up in recycling bins, unread. Our 10am morning editorial conference is a sober affair dominated by Las Vegas, where a lone middle-aged gunman with no record of violence has murdered 58 people and injured 489. It’s the worst shooting in modern American history and his motive is unknown. We clear six pages for reports from the team there. In the afternoon, I spend two hours with i’s section chiefs, kicking holes in the first issue of iweekend. Assistant editor Hanna Tavner and art director Tim Alden have been locked in a tiny office for months, finessing content and design. They are stunned...and delighted by the sales figure. It is doubtful they can ever be rehabilitated into polite society. I write to new iweekend contributors Rachel Johnson and Max Whitlock, interviewees Robert Harris and Nick Grimshaw. Once I’ve approved our front page – a poster cover showing survivors in Vegas – I stop off for a pint on the way home with foreign correspondent Kim Sengupta. I started out in journalism wanting to be a war reporter but lost any bottle I ever had. Reporting from combat zones, where journalists now routinely face kidnap and murder, requires courage I don’t have. Kim travels to a frontline at the first crackle of gunfire but he isn’t reckless, speaking frankly of the fear that war reporters feel. He’s had a few lucky escapes over the years, including nearly being blown up in the truck bombing at Baghdad’s Hamra Hotel. We don’t talk about any of this, but gossip furiously instead. We finalise a partnership between i, LEGO and Warner Bros. Pictures, to give away LEGO toys with iweekend on Saturday 14th October. It’s tied to the release of The LEGO Ninjago Movie. LEGO’s previous giveaways have run in The Times, The Sun and the Daily Mail so this is a coup. We increase print availability and plan a promotional takeover of iNews.co.uk. I write to the Archbishop of Canterbury, thanking him for lunch last week. Then to Lisa Markwell, the editor and chef, who took me to the first night at Victor Garvey’s new Catalan restaurant opposite the Groucho. Rambla is going to be mobbed: top location, good value, moreish dishes. The spinach croquetas, quail drumsticks and almond cake all hit the spot. After writing the first draft of tomorrow’s front page (an exclusive on the return of university maintenance grants) I flee the office at 5.30pm to pick up Matilda from her childminder. Once she’s in bed, there’s a phone call with i’s marketing team. Then I write my daily column, make changes to the front page at 10pm and grab an early night. At our weekly management meeting, Johnston Press publishing director Richard Thomson has an update on i’s 2017 finances. We’re on course to double last year’s profits. Maybe it sounds weird for for me, as an editor, to care too much about the bottom line. But we’ve taken the business from a disruptive (and loss-making) start-up six years ago to a highly profitable brand with bright prospects. None of our rivals can say their audience and revenues are growing in both print and digital. We discuss seven new appointments to i’s staff, including a policy editor to make sense of Brexit. My PA Denise Thompson, who was once sacked by Bono, collates our entries for the British Journalism Awards. We submit the investigation into secret NHS cuts and our world exclusive on the dawn of "designer babies". At lunchtime I watch the prime minister’s farcical big comeback speech through my fingers. Much of the criticism is unfair, but symbolism matters in politics and she may not last until Christmas. Tomorrow’s i front page will carry the headline "Last gasp". I go off on a tangent in my own column, praising Theresa May for saving thousands of people’s lives by changing the rules on organ donation. Late afternoon, before the nightly production frenzy, our chief executive Ashley Highfield appears in the newsroom with a trolley of champagne, to thank staff for successfully delivering a cover price increase and launching the new iweekend. Tonight’s headlines are livelier than ever. I meet i’s head of sales, Andy Webb, twice a week. This morning we discuss opportunities for new i clients Three Mobile and Lidl, as well as iweekend’s launch advertisers, who included O2, BT, EE, Warner Bros. Pictures, HSBC, Ladbrokes and Coral. Andy’s team and our editorial specialists collaborate closely to create new opportunities for agencies and clients. We recently brought in Sophie Lam from ESI as head of travel, and are seeing traction by offering new audiences for weekend breaks, cruising and rail tours. After commercial, I meet our digital prod dev team. iNews.co.uk has 2 million unique browsers and ended September 10 per cent ahead of its page views target. We’re expanding content verticals on travel, opinion, sport and culture, with a new magazine-style newsletter delivering higher engagement. Our product team pitch a new PWA they’ve built, derived from a Google Digital News Initiative project. It should make iNews user experience as slick as an app, without needing to download one. My focus turns to iweekend and I exchange text messages with Andy Marr. He was going to show us his new painting exhibition and tell us how art helped him to recover from a stroke, but a diary clash scuppers the piece. Blast. We have a strong iweekend line-up though: Jeremy Vine, Jane Garvey, Mark Watson, Shappi Khorsandi, Simon Reeve and Janet Street-Porter, plus a cover chat with Jamie Oliver. Tonight’s i front page leads with Tory rebels plotting to topple the PM, alongside a Ben Stiller interview where he talks about divorce and recovering from cancer. I leave the office at 11pm once we’ve gone to press. Pedal to the metal. I arrive at 9am and leave 13 hours later. At some point we’ve sent 88 pages to our print sites around the UK, finalised details of i’s LEGO giveaway and published new iweekend writers online. The top iNews article is a brilliantly gossip report on the Tory plotters by guest writer Alex Wickham, news editor at Guido Fawkes. Home time. A weekend of toddlers’ birthday parties and museum visits awaits. Favourite media Private Eye, Have I Got News For You, spy fiction, Arseblog, Quartz, Politico’s London Playbook.